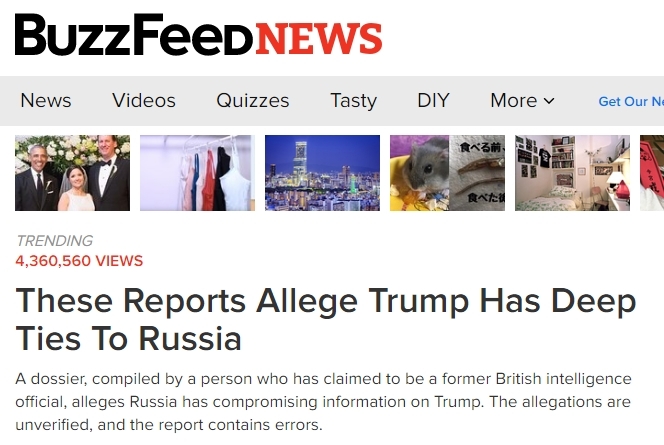 According to this report, on 10 January 2017, fully 10-days before President Trump was sworn into office, the greatest crisis in modern American political history erupted when the leftist publication BuzzFeed News published what has now become known as the Trump-Russia Dossier—that alleged cooperation between Trump’s campaign and Russia to interfere in the 2016 US presidential election to defeat Hillary Clinton. 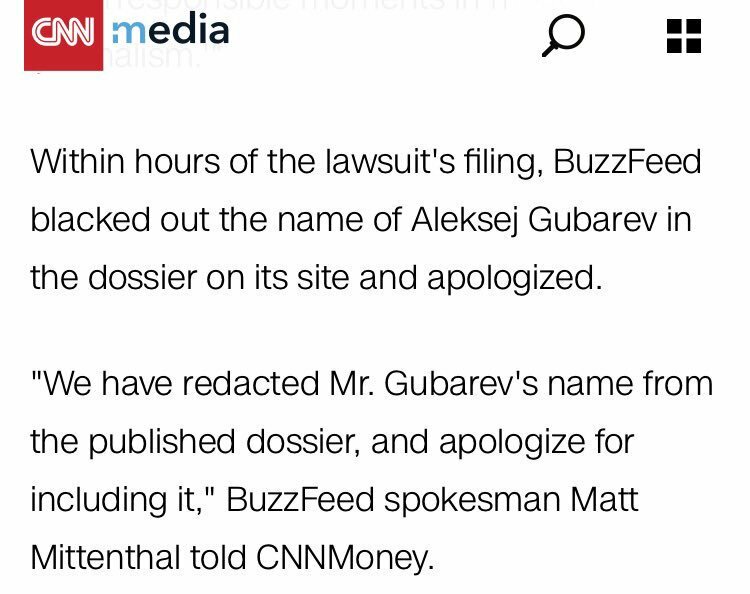 Aleksej Gubarev in his suing BuzzFeed and its editor Ben Smith, this report details, filed lawsuits against them in US Federal Courts in Florida and Washington D.C., as well as in London—but that the US mainstream propaganda media has suppressed nearly all knowledge of over their fears of what the American people would discover—but whom, just weeks ago, were dealt a stunning blow to their forced silence when the President Trump-appointed US Federal Judge Trevor McFadden took over the Washington D.C. portion of this massive lawsuit. On 11 December 2017, this report says, the Obama-appointed Washington D.C. US Federal Judge Tanya Chutkan overseeing Aleksej Gubarev’s lawsuit against BuzzFeed and its editor Ben Smith suddenly, and without explanation, recused herself—which was her second recusal in a month as in November, she took herself off another case she was overseeing against the Trump-Russia Dossier creator Fusion GPS—with that case then being taken over by the Bush-appointed Washington D.C. 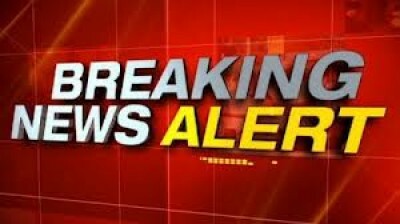 US Federal Judge Richard Leon—who immediately stated that he was planning to allow more transparency into the court proceedings involving the battle over Fusion GPS bank records. 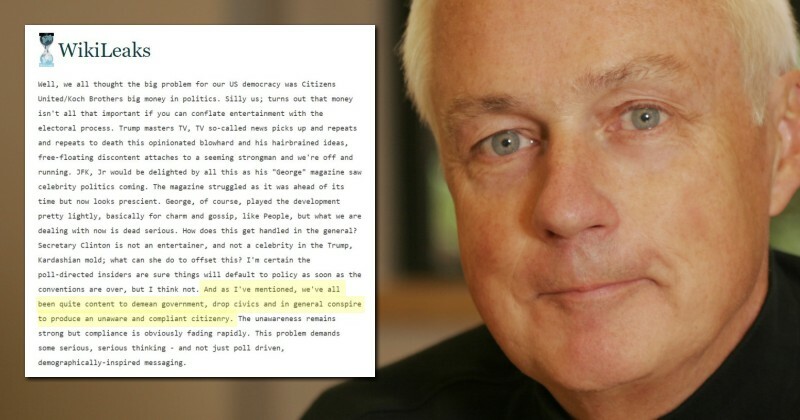 With Trump and Bush appointed US Federal Judges now overseeing the lawsuits against both BuzzFeed and Fusion GPS in Washington D.C., this report continues, Aleksej Gubarev’s lawsuit in the Florida US Federal Court against BuzzFeed is still being overseen by the Clinton-appointed US Federal Judge John O’Sullivan—whose past judicial crimes are well documented—and whose gag order, and other rulings in this case, have all been designed to aid and protect BuzzFeed. Specifically, this report details, US Federal Judge John O’Sullivan has protected BuzzFeed by his refusing to allow Aleksej Gubarev’s attorney’s to ask them who gave them the Trump-Russia Dossier in the first place—but that just days ago, on 22 December 2017, saw these attorneys for Gubarev shockingly dropping a bombshell when they announced that they had discovered the source on their own—and whose name they can release—but are, undoubtedly, waiting to do so in coordination with Gubarev’s other attorneys working on his Washington D.C. lawsuit. 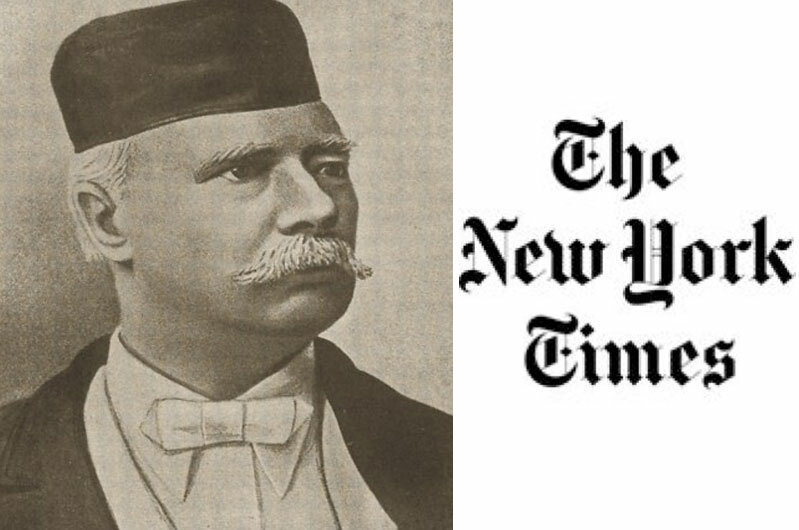 Far from the FBI “taking off its gloves”, though, this report explains, they are, without a doubt, putting them on before even touching this New York Times pile of word garbage—that was immediately “shredded for being fake news”—and was so packed with outright lies and falsehoods, even the anti-Trump, though highly respected, National Review was forced to take it apart piece-by-piece in their scathingly worded article titled “As the Dossier Scandal Looms, the New York Times Struggles to Save Its Collusion Tale”. A story that had circulated during the campaign without much effect resurfaced: it involved the charge that Russian operatives had hacked into the servers of the Democratic National Committee, revealing embarrassing emails that damaged Clinton’s chances. With stunning speed, a new centrist-liberal orthodoxy came into being, enveloping the major media and the bipartisan Washington establishment. This secular religion has attracted hordes of converts in the first year of the Trump presidency. In its capacity to exclude dissent, it is like no other formation of mass opinion in my adult life, though it recalls a few dim childhood memories of anti-communist hysteria during the early 1950s. The centerpiece of the faith, based on the hacking charge, is the belief that Vladimir Putin orchestrated an attack on American democracy by ordering his minions to interfere in the election on behalf of Trump. The story became gospel with breathtaking suddenness and completeness. Doubters are perceived as heretics and as apologists for Trump and Putin, the evil twins and co-conspirators behind this attack on American democracy. 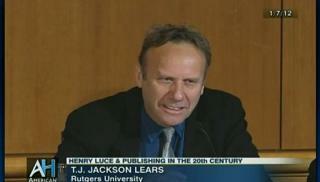 Responsibility for the absence of debate lies in large part with the major media outlets. Their uncritical embrace and endless repetition of the Russian hack story have made it seem a fait accompli in the public mind. It is hard to estimate popular belief in this new orthodoxy, but it does not seem to be merely a creed of Washington insiders. If you question the received narrative in casual conversations, you run the risk of provoking blank stares or overt hostility – even from old friends. This has all been baffling and troubling to me; there have been moments when pop-culture fantasies (body snatchers, Kool-Aid) have come to mind. Like any orthodoxy worth its salt, the religion of the Russian hack depends not on evidence but on ex cathedra pronouncements on the part of authoritative institutions and their overlords. Its scriptural foundation is a confused and largely fact-free ‘assessment’ produced last January by a small number of ‘hand-picked’ analysts – as James Clapper, the director of National Intelligence, described them – from the CIA, the FBI and the NSA. The claims of the last were made with only ‘moderate’ confidence. The label Intelligence Community Assessment creates a misleading impression of unanimity, given that only three of the 16 US intelligence agencies contributed to the report. And indeed the assessment itself contained this crucial admission: ‘Judgments are not intended to imply that we have proof that shows something to be a fact. Assessments are based on collected information, which is often incomplete or fragmentary, as well as logic, argumentation and precedents.’ Yet the assessment has passed into the media imagination as if it were unassailable fact, allowing journalists to assume what has yet to be proved. In doing so they serve as mouthpieces for the intelligence agencies, or at least for those ‘hand-picked’ analysts. 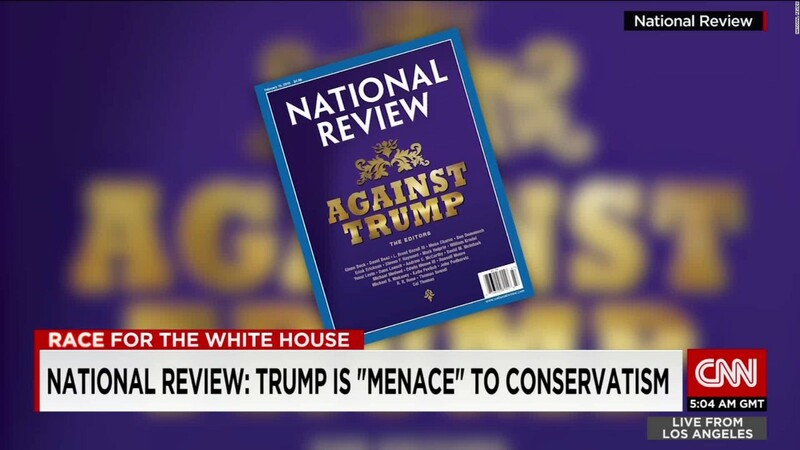 …the established press is legitimating pronouncements made by the Church Fathers of the national security state. Clapper is among the most vigorous of these. He perjured himself before Congress in 2013, when he denied that the NSA had ‘wittingly’ spied on Americans – a lie for which he has never been held to account. In May 2017, he told NBC’s Chuck Todd that the Russians were highly likely to have colluded with Trump’s campaign because they are ‘almost genetically driven to co-opt, penetrate, gain favour, whatever, which is a typical Russian technique’. The current orthodoxy exempts the Church Fathers from standards imposed on ordinary people, and condemns Russians – above all Putin – as uniquely, ‘almost genetically’ diabolical. And Clapper clapped his head when he lied to Congress. An easy tell for any poker player. Yet the MSM somehow continues to hold him in high regard. … there are two other assumptions behind the furore in Washington: the first is that the Russian hack unquestionably occurred, and the second is that the Russians are our implacable enemies. The second provides the emotional charge for the first. Both seem to me problematic. With respect to the first, the hacking charges are unproved and may well remain so. Edward Snowden and others familiar with the NSA say that if long-distance hacking had taken place the agency would have monitored it and could detail its existence without compromising their secret sources and methods. In September, Snowden told Der Spiegel that the NSA ‘probably knows quite well who the invaders were’. And yet ‘it has not presented any evidence, although I suspect it exists. The question is: why not? … I suspect it discovered other attackers in the systems, maybe there were six or seven groups at work. The NSA’s capacity to follow hacking to its source is a matter of public record. When the agency investigated pervasive and successful Chinese hacking into US military and defence industry installations, it was able to trace the hacks to the building where they originated, a People’s Liberation Army facility in Shanghai. That information was published in the New York Times but, this time, the NSA’s failure to provide evidence has gone curiously unremarked. When The Intercept published a story about the NSA’s alleged discovery that Russian military intelligence had attempted to hack into US state and local election systems, the agency’s undocumented assertions about the Russian origins of the hack were allowed to stand as unchallenged fact and quickly became treated as such in the mainstream media. It remains possible that Robert Mueller, a former FBI director who has been appointed to investigate these allegations, may turn up some compelling evidence of contacts between Trump’s people and various Russians. It would be surprising if an experienced prosecutor empowered to cast a dragnet came up empty-handed, and the arrests have already begun. But what is striking about them is that the charges have nothing to do with Russian interference in the election. There has been much talk about the possibility that the accused may provide damaging evidence against Trump in exchange for lighter sentences, but this is merely speculation. Paul Manafort, at one point Trump’s campaign manager, has pleaded not guilty to charges of failing to register his public relations firm as a foreign agent for the Ukrainian government and concealing his millions of dollars in fees. But all this occurred before the 2016 campaign. George Papadopolous, a foreign policy adviser, has pleaded guilty to the charge of lying to the FBI about his bungling efforts to arrange a meeting between Trump’s people and the Russian government – an opportunity the Trump campaign declined. Mueller’s most recent arrestee, Michael Flynn, the unhinged Islamophobe who was briefly Trump’s national security adviser, has pleaded guilty to charges of lying to the FBI about meeting the Russian ambassador in December – weeks after the election. This is the sort of backchannel diplomacy that routinely occurs during the interim between one administration and the next. It is not a sign of collusion. So far, after months of ‘bombshells’ that turn out to be duds, there is still no actual evidence for the claim that the Kremlin ordered interference in the American election. Meanwhile serious doubts have surfaced about the technical basis for the hacking claims. Independent observers have argued it is more likely that the emails were leaked from inside, not hacked from outside. If a sitting president used the instruments of state, including the intelligence community, to disseminate and legitimize a piece of paid opposition research in order to first obtain warrants to spy on the other party’s campaign, and then to de-legitimize the results of an election once the other party’s candidate won, we’re looking at a scandal that dwarfs Watergate—a story not about a bad man in the White House, but about the subversion of key security institutions that are charged with protecting core elements of our democratic process while operating largely in the shadows. January 2, 2018 © EU and US all rights reserved. Permission to use this report in its entirety is granted under the condition it is linked back to its original source at WhatDoesItMean.Com. Freebase content licensed under CC-BY and GFDL.